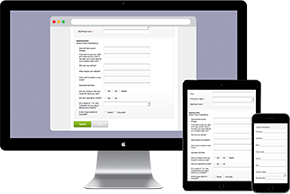 Logiforms forms are 100% Responsive and adapt to any device they are accessed on. Design your form in the Form Designer Once and deploy to any device or platform. Your end users, never have to install any software. Our forms run on all devices and always look amazing. Unlike other mobile form providers, forms created with logiforms work both on the desktop at full size AND on mobile devices – without the need to create two versions of the same form. Forms automatically adapt. Field Layout, Input controls, file uploads and buttons are all automatically optimized on the fly for mobile devices. 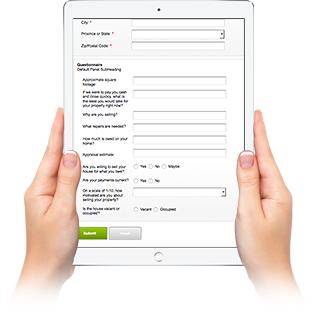 Our forms run on ALL devices and never require an app to be installed. 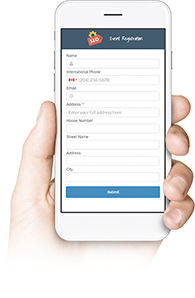 Embed our mobile forms on on your site and your done. Your users never have to install any apps. 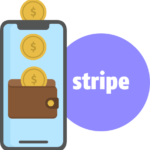 Collect Mobile Payments with our new Stripe Integration. Making mobile payments has never been easier. 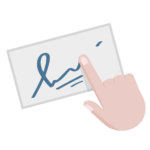 Instantly capture Mobile Signatures with our touch-enabled Inline Signature Element or through our integration with Adobe EchoSign. 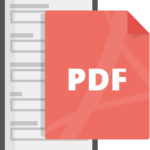 Leverage the logiforms platform with your mobile form deployments to generate PDF documents on the fly, do approval mode processing and create powerful workflows. Go beyond simple mobile data collection.